How is web push best for content distribution? How to improve your blog with web push notifications? 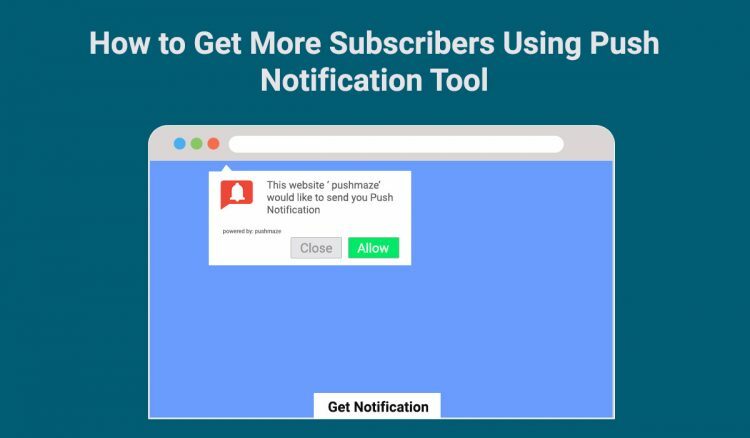 How to get more subscribers to your blog push notifications? Behind every successful blog with a stable readership, there are the countless old days spent building the base. Ultimately, it’s not just about the richness of your content but more about penetration to the relevant readers. Blogging and content publication have become establish ways to build a brand today. It’s a fact that it not only helps you top in the SERPS but also give better channels to generate 3x leads. I know you know this. I also know you have devised a great content creation plan and content calendar for at least a quarter of this year. Out of all those bloggers who have a solid plan for content development, the majority of them ignore the need for a similar level of planning for content distribution. As a result, despite over-producing, they fail to get even a decent readership for their posts. The Washington Post publishes 1,200 pieces of content per day. The NYTimes.com that publishes 230 pieces of content per day. The Buzzfeed publishes about 222 pieces of content per day. These are the giants in blogging and content publications. They get 90% of their traffic and readership as direct. Still, if you look carefully, they leave no stone unturned when it comes to devising a content distribution strategy. Using web push notifications is one of the stones for content distribution in addition to traditional channels like email newsletters and RSS feeds. Many blogs fail because they don’t realize the importance of an effective content distribution strategy. Of course, they don’t even realize the same for web push notifications as a content distribution channel. You might say, subscribers, do not respond to your email newsletters. It’s true. Email newsletters are not as efficient as push notifications when it comes to message deliverability. However, it is also true that most of the newsletters are poorly targeted. A majority of them do not even reach the regular inboxes of the subscribers. Web push alerts, on the other hand, are a better channel with better delivery rate and outstanding ways to filter highly interested audience. Using deeper segmentation, a web push notification lands perfectly to a user with 100% interest in the particular communication. Any push notification service or tool holds features to create custom segments of subscribers. Using these segments you can send a particular notification to the group of users who would be interested in them. For example, you can create segments of all your US subscribers, so when you post something specific for the US audience, you can make sure that only US readers receive the notifications for the same. There are many other ways to create a different type of segments to filter the notifications for a highly targeted audience. You can create segments based on age group, gender, location, time-zone, website activities and many more. We will discuss them in the article. Before that, let’s see how web push notifications are better than other channels for content distribution. Emails fall prey to the spam filters. Most of the emails lack personalized targeting. Due to this, a majority of email newsletters subscribers either opt-out or block the emails after a certain time. It makes your emails getting trapped in the spam folders. Emails receive 20-30% delivery rate, 3-5% click-through rate, and 14-18% click-to-open rate. On the other hand, push notifications to get a 100% delivery rate, 10-11% click-through rate, and boost subscription retention by 88%. You can send web push notifications to only the readers who have chosen to receive them from your opt-in box on the blog. It’s easy and requires just a click on the “Allow” button. Comparatively, email newsletter subscriptions are little complicated as they demand to fill up a subscription form. Below is how a reader can opt-in to Neil Patel’s blog by simply clicking on the ‘Allow’ button on this pop-up box. Similarly, it is not tough to unsubscribe the same too. A user can easily go to ‘site settings’ on the web browser and unsubscribe from the same notifications. Web push notifications completely eliminate the fear of sharing your personal information. You don’t need to share your email or contact number to subscribe to the push alerts. Just a click on the notification opt-in box is enough to subscribe or block push alerts from a particular publisher. Push notifications allow custom segments to personalize the messages. For instance, one can use geo-segmentation to push relevant notifications to a particular geo-location. You can use geo-fencing to trigger alerts to the users more likely to be interested in a related topic to that location. For example, if you are a travel blogger, you can trigger your post about top locations to visit in Rome in the following way at Rome Airport. You can create many other similar segments to ensure only interested users receive your notifications. Out of two major types of push notifications used by the marketers (app-based and website-based), web push alerts are best for content marketers. 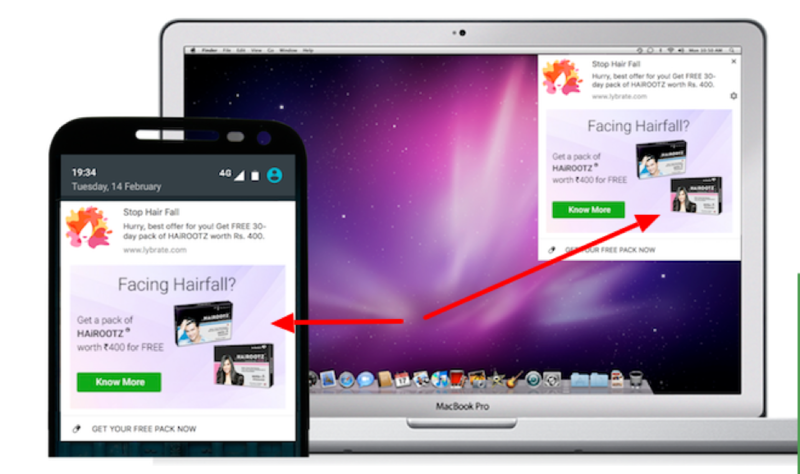 Using these, you can target both mobile and desktop users with a single notification copy. As a result, the readership is always better as compared to app push alerts. The ways to get blog subscribers with web pushing is highly centered on filtering out the relevant audience for your content. For example, web alerts have more impressive message delivery rate than simple email newsletters. Besides that, with an average 98% open rate, they are always better than emails, which have only a 22% open rate. This is not surprising, considering most of the email newsletters die in the spam filters. So yes! web pushing is free from the limitations of message delivery and ways to filter the relevant and interested readers for your blog. It’s a basic and fundamental approach. You can think about advancing your efforts only after mastering the tactics of segmentation and notification personalization. Address readers with names if already known. Location is one of the best segments to target as many relevant readers. You can use geo-segmentation to target users in the most suitable time frames. In other words, ignoring the locations can make your notifications irrelevant in terms of time-zones and frames. So, geo-targeting is not a preference but a necessity of web push marketing. Visuals are always the best ways to communicate a message. An image is worth thousands of words. If you want to learn how to get blog subscribers, first learn how to keep your current subscribers subscribed. An image does the same with a different approach. It makes your notifications self-explanatory and appealing. Users feel more connected with just a glance on the notification panel. Not just that, an image makes your notification stand out from the rest of the messages in the panel. For example, you can use Chrome push notifications to give best of the visual appeals to your messages. It allows you to add a banner image and an icon image in the text-based messages. A relevant banner image to your blog post will give a boost in the click-through rates for sure. Using web push alerts you can advance forward towards overall growth of your blogging site. You can also make extra income through affiliate marketing of popular eCommerce sites. You can bind affiliate products with your published posts. If the timing is correct and the reader is interested in the article, you definitely create an interest in the suggested products too. Web push notifications can be delivered to the subscribers on all the devices that support web browsers. Be it a computer, smartphone, tablet, or even a smartwatch, you can always notify your readers of the latest posts on all the platforms. You can leverage this feature to target your users with all-around steering. 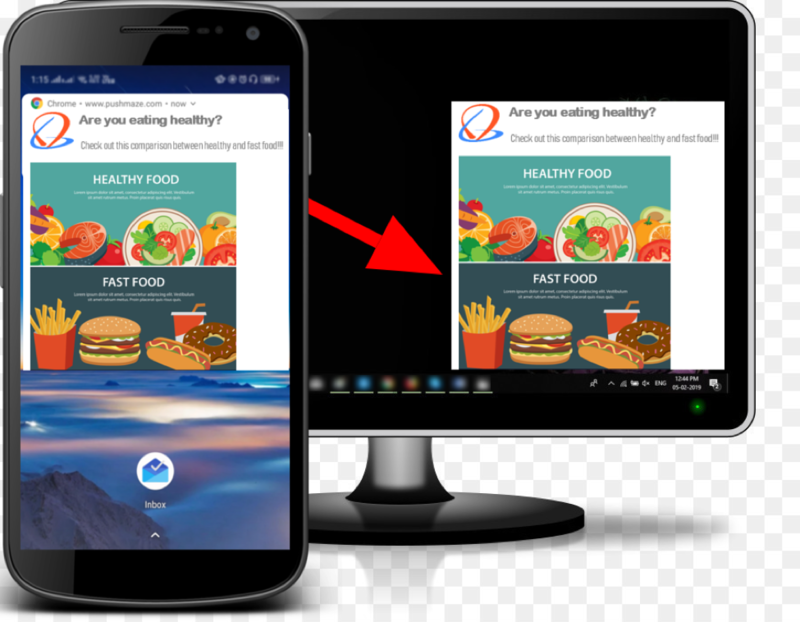 Moreover, you can also use ‘cross-platform synchronization’ for Chrome notifications to target your readers on all the platforms. 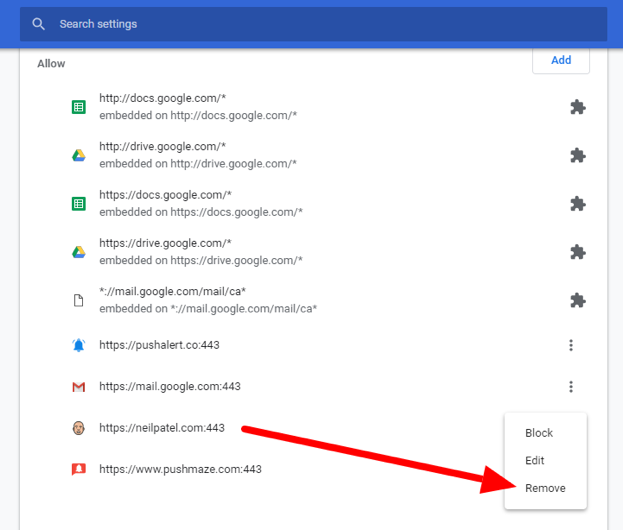 In this, when a user subscribes to your alerts on a Chrome browser, he/she automatically subscribes to all your web notifications on all the platforms with Chrome where he/she has signed in with the same Google account. Same also happens with a Firefox account as well. However, do you know that people don’t want notifications? Yes! They want information that can be applied to their expectations. The more you inform, the more they know the consequences of making a choice. Same goes to an opt-in box that encourages users to opt-in or opt-out based on the comprehension it gives to the users about the choices. “XYZ wants to send you notifications- Block or Allow”, the opt-in is purely on luck. A notification could be anything. It could be a piece of relevant information or not relevant at all. The best way to get more blog subscribers for your notifications is by customizing your opt-in box with as much information. You should design an opt-in box with information on the potential consequences of making either of the two choices. You should explain the type of information they would receive if they subscribe to your alerts. It offers a clear comprehension of what users would get after opting-in and what they would miss if they block the same. This tweak is not limited to bike tips. You can come up with as many fancy opt-in box ideas relevant to your blog’s domain. Bottom line is -this tweak is very fundamental. However, many bloggers ignore it, considering it not very crucial. Bad for them as they are unable to comprehend the power of information and how people dear transparency over the internet. In fact, I looked for some websites with such personalized opt-in boxes to show you guys some examples. Unfortunately, I found none. Most of the websites are still stuck with the generic opt-in boxes. Perhaps, this is why now is the best time to make your notifications stand out with personalized opt-in boxes. Avoid one size fits all approach and always create personalized copies. Time the notifications rightly. The best time frame for blogs would the morning. Target the correct demographic of readers. For example, youths will be more into gaming article. Stop being irrelevantly frequent. Bombardment of notifications will only lead to mass opt-outs. Focus on preference-based alerts. Let your subscribers decide the type of notifications they want to receive. For example, a blog post notification, a comment notification, a reply notifications, etc. Be it a travel blog, a health blog or a technical blog, readers appreciate relevant information. It’s not always about how to get more blog subscribers, but also the ways to know your audience, understand their pain points, writing relevant posts, and triggering alerts that give them a solution. Getting more subscribers also involves retaining the old ones. It also means you need to comprehend what your readers want to read and what is meaningful to them. Ultimately, you should write and post about something that binds utility for the readers. This is how push notifications work to give more readers to your blog.